Draw a line in the form of an arc on the right. 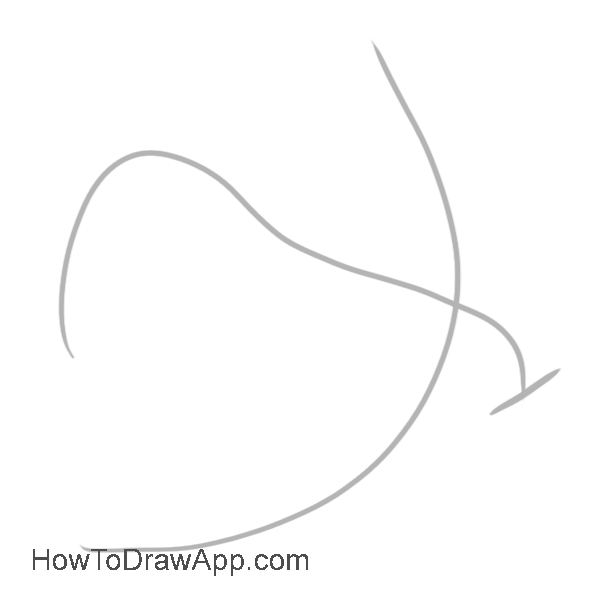 Cross it in the middle with a curved line. Schedule the head by a small perpendicular line. 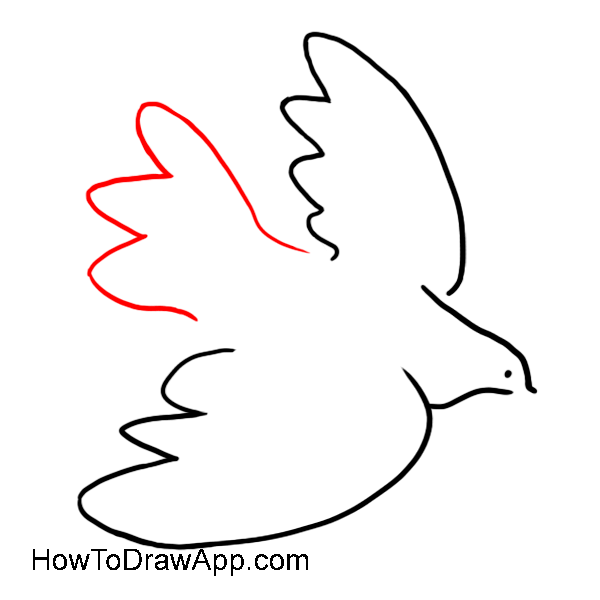 Outline the upper wing of the dove. Go up and down on one side to indicate feathers. 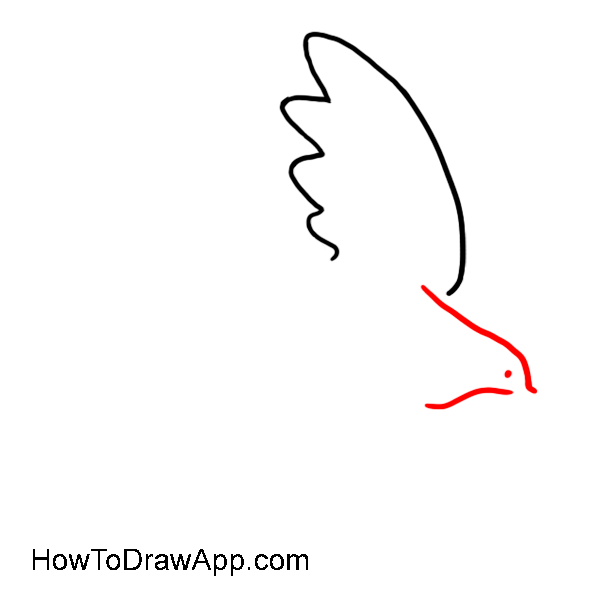 Draw the head using two lines that seem to connect in a point. Make a dot for an eye. 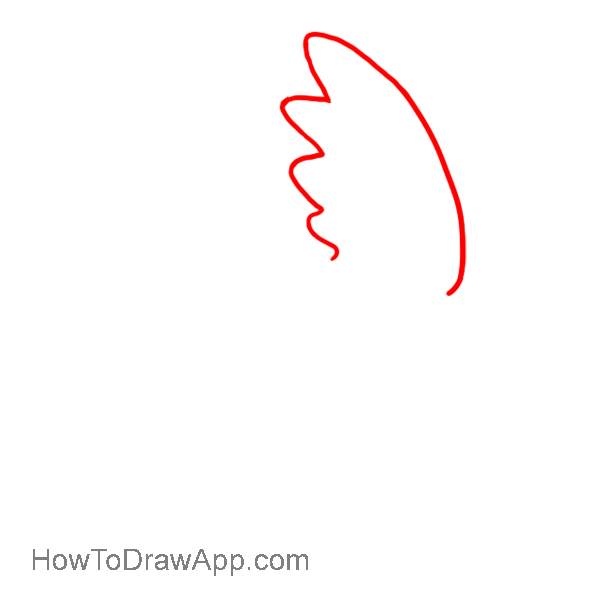 Outline the lower wing. It is a bit bigger than the upper wing. 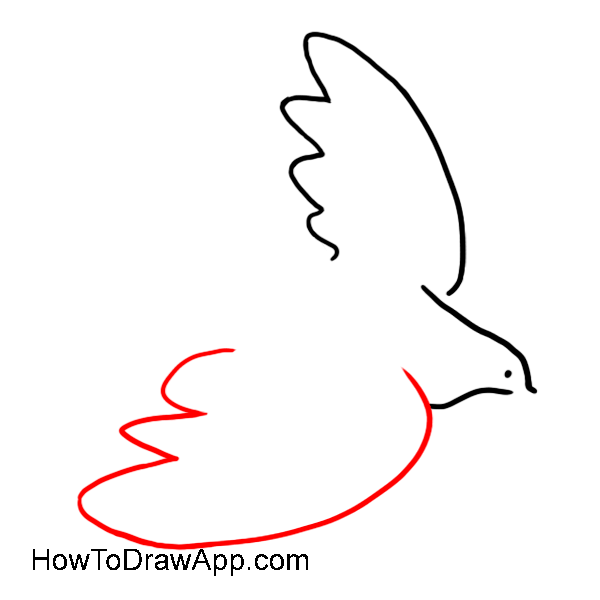 Draw the dove’s tail making 3 big curves. 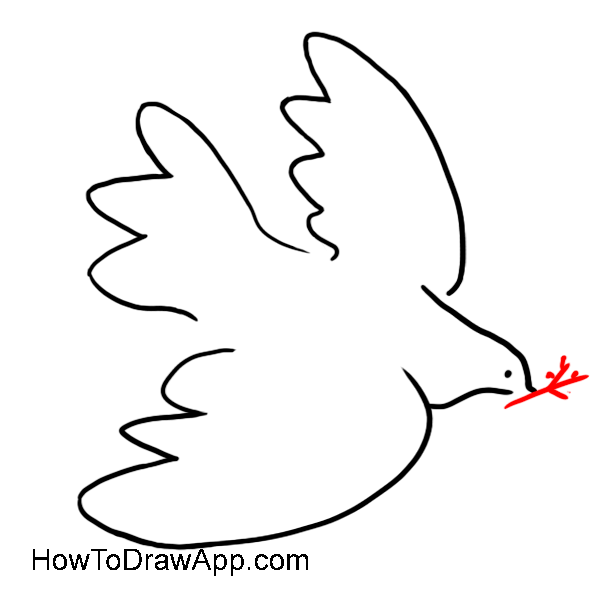 Draw a small stick of a plant in the dove’s beak. Delete all auxiliary lines and the dove is ready!